Grooved to hold plastic or wooden ball markers. Purchased for a missionary friend to use in an Adult Senior program in the DR. I bought this board with concerns that it might be not as strong as it looked online. Upon receving the product I was suprised to see that it is a solid sturdy board. 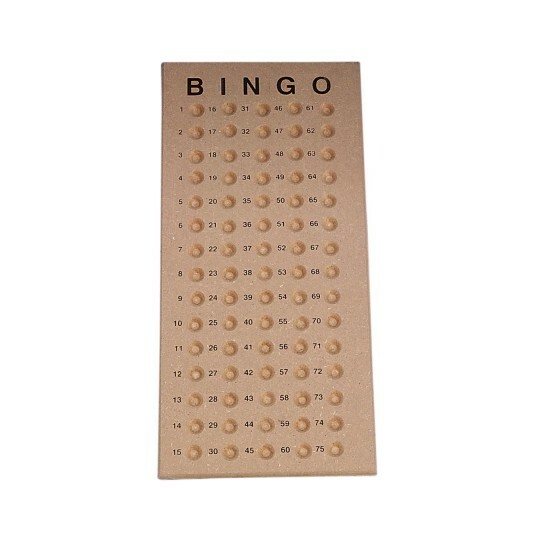 It is great for bingo games and I have had no problems with the balls rolling out of the slots and onto the floor. This is a good product and well made. The only thing that would make it better is to have it be a bigger board so that the ball holders were further apart. Allows us with well endowed fingers to put the balls into the appropriate holder. 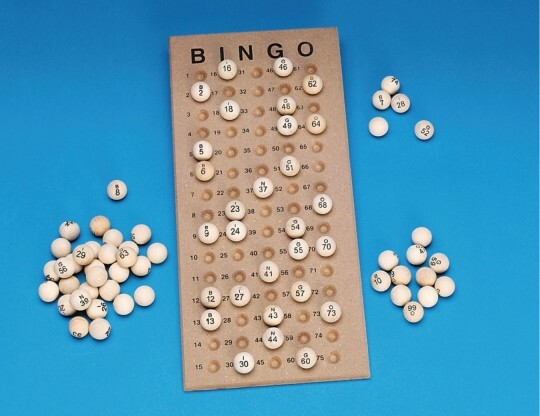 The numbers and letters on the board are hard to find because they are not dark enough in color which causes play to slow down. 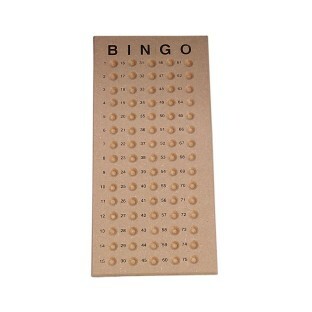 I WORK AT A RETIREMENT HOME AND WE USE THIS TYPE OF ITEM ON A REGULAR BASIS. IT STRONG STURDY AND EASY TO WORK WITH.